Building a successful Start-up is every entrepreneur’s dream, but recent world statistics show only 1 in 12 succeeds. Why do start-ups fail? Why are Zimbabwean start-ups failing? Why are all those brilliant ideas going down the drain? A start-up is a newly created, potentially high growth, technology-oriented organization in a phase of development and research for markets. Start-ups typically have lower costs, higher risk, and are more scalable than established businesses i.e. they can potentially grow rapidly with limited investment of capital, labour or land. Spend a lot of time and as little money as possible. Most start-ups won’t make it because they fail at one or more of the 3 pillars above. A start-up that does all three will most likely succeed. Let’s discuss why start-ups in Zimbabwe are failing on at least one of the 3 core pillars. Most people don’t take time to understand their market, they simply hatch an idea and they start writing code, PHP, ASP, Java, VB, Python you name them! The risk with this is when they “finish” with their product, they discover the market is not interested or simply not there! Piece of advice: Take more time to understand your market before you waste precious resources on a white elephant. Always ask yourself, who is my client? Where is my market? How do I convince them to use my product? What other products are they using…etc. I can safely estimate that over 60% of start-ups in Zimbabwe are started by software developers, web developers, IT administrators and other people in the IT sector. This is fairly common and acceptable. However the problem with most of these would-be business owners is that they don’t know when to discard their techie hats and focus on marketing their business & products. They spend all the precious time writing thousands of lines of code or redesigning their systems or websites every week, at the expense of marketing their product. They tend to turn a blind eye to the fact that a business can only be successful if it has a customer. You can build an out-of-this-world product but if there is no customer, then you are as good as a church mouse! So as soon as you have something working discard the techie hat and go out there and sell your product! Need I say more on this? The world over, everyone is tightening their belts, it’s getting more difficult to survive each day and no one has extra cash lying around. And start-ups are also feeling the heat. Fear is like a rocking chair, gives you something to do, but doesn’t solve anything! People are just afraid of the unknown! What if someone was to guarantee that whatever you are going to try you will succeed, will you still be afraid? Throw fear out of the window and go out there and be yourself. Do what you believe will make you successful. The greatest mistake in business is to underestimate your competitor. Doing that is simply suicidal. It’s like going hunting with a Chihuahua! Surely you can’t expect to come back with a dead kudu! Keep your customer close and your competitor closer!! Know your competitor, respect them and know their weaknesses and strengths. Social media, mainly Google, Facebook and Twitter are powerful tools that can take your business from humble beginnings to great success. Sadly in Zimbabwe we can’t make use of these services to their fullest due to certain restrictions associated with politics. However the little that we can use is still a diamond in the sky! Social media is there to keep you connected to your fans, potential customers and current customers! It’s the new way of selling goods. You can under-estimate it at your own peril. Developing for the US, while in Zimbabwe! The biggest, costly mistake! Since the introduction of the US dollar, we have unfortunately seen a lot of US-inspired start-ups mushrooming from every corner of the country. The ideas are excellent but they simple don’t appeal to Zimbabwean needs. I can safely say they are a decade ahead of our time. We need to start with the basics right now. We have known problems but developers chose to ignore them and focus on products that will never see 2 Christmases. A new trend that I have observed since 2010 is the “copy & paste” method. Someone sees a “good idea” and tomorrow they hastily copy it and hope to beat the original idea. When I and my partner formed Zimautotrader.com, we were shocked by other similar websites that mushroomed in the following 3 months. It was like “Scramble for Africa”. Some even went a step further to copy our colours, motto and even our search engine optimisation text!!! The sad thing about copy and paste is you cannot copy someone’s vision; neither can you copy their dreams! This time it’s like going hunting without a dog! You will be lucky to come back even with a decomposing mouse! Developers usually get carried away so easily. They like their code to extent they forget they are developing a product for customers. They think what they like is what customer wants. In reality, it’s usually the opposite and most start-up owners discover this energy-sapping truth when it’s way too late resulting in the unexpected demise of the start-up! Developers and their chinas are a bunch of funny creatures. They lie to themselves and see the world from only their angle. In that trance, they start believing they can conquer anything you throw at them. They believe they can easily change their programming jackets and wear marketing suits and sign-up clients with so much ease and build a successful business, just like that. Little do they know and appreciate that people actually spend years in colleges learning how to entice clients and how to build a brand. If only our Zimbabwean developers could learn to partner with trained marketing and business management people, I am sure at least half of all failed start-ups would at least signup one or two clients before their demise. We currently have a lot of start-ups competing with each other in various sectors of the economy. Jobs, Classifieds, Property, Cars etc. In all honesty, Zimbabwe is not ready for over a dozen websites offering the same thing! The number of people looking for “things” online is still very low. So instead of coming together and building one or two products that satisfy the small market, over half a dozen start-ups are competing against each other giants like Classifieds.co.zw and the result is predictable. The new guys struggle and die one after another! While partnerships are not easy to form and manage, it’s still better than a dying natural death! And like Professor Mutambara said, better own 10% of an elephant than 90% of a rat! Its time developers take advantage of the power of partnerships. Most start-ups are formed and run on part time basis. The start-up owners have no time to market their products or sweet-talk would-be investors or even understand what the clients want. They are usually kept busy by their normal day jobs or are busy somewhere looking for their next meal. Giving 2 hours a day to your start-up and expecting it to flourish is almost mission impossible. Most start-ups are formed and run from the head. Nothing written down, no references, no targets, no milestones, nothing! It’s just faith and dreams! While it sometimes works out, in most cases this is a recipe for failure! Start-up owners need to track progress, measure performance, track costs, review goals and milestones etc…this will be used in decision making. You need to know when to put the accelerator on the floor or when to press the brake pedal. You can’t just operate in “darkness”. Startup owners also need certain attributes to be successful. They need to see beyond the horizon and be creative enough to think in other terms. This gust article was written by Concern Shoko. Concern is a software developer and CEO of web hosting company Mega24.co.za. He is also the brains behind Zimautotrader.com. 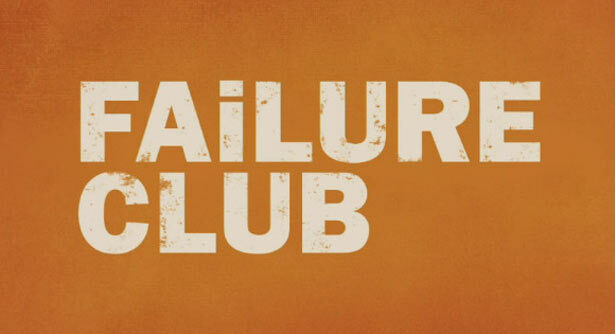 “Fail” means not making profit or simply not achieving the start-up goals and objectives. 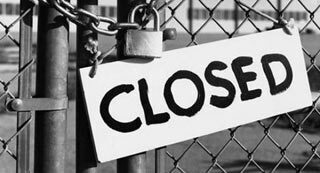 Sadly,we have a worrying number of start-ups that have FAILED in Zimbabwe. I tried to think of any start-ups that can be classified as successful during the past 5 years in Zimbabwe and I didn’t go beyond 5. That number is easily surpassed by failed start-ups in the Car listing sector alone. I dont think you understood what I said. Blv me I did, u meant we don’t have much statistics about start-ups in Zim…but the truth is we have over 50 start-ups and less than half a dozen are making any meaningful profit. I can list all start-ups i know and we go thru the list one by one. And I also blv the Author did his research on that…. Intresting read, I think Im not a start-up oriented person to the dot and fall short of many of the points you noted without being in the Zimbabwe bracket. ZimAutoTrader is an awesome idea I should say. I agree with you when you talk about copy and paste. This is very common in Zim and we have seen it over the past 10 years in every sector. As Zimbos, we now have a tendency of venturing in anything that we see it is giving other people an income. Having an ultimate vision of what you want in life is the key. A good read indeed. Does there exist a service/ consultancy firm in Zimbabwe that helps new start ups through such phases and challenges? It would be a darn good idea to have one. The points raised are applicable across most biz in Zimbabwe. So existing good, biz development consultants/mentors are pretty capable of giving such support. Was involved in mentoring rural agri-biz and covered some of the issues raised here. So any good biz mentor should suffice. The truth is most startups fail – period. Zimbabwean or not. I think we need to move away from certain mindsets, the biggest one being the fear of failure. Startups are inherently risky, to quote an old ad “the people who are crazy enough to think they can change the world are the ones who do”, but most of the times, the crazy ideas are just that – crazy (or not crazy enough). The other mindset that needs to change – and I sharply disagree with the author on this point – pertains to ‘owning’ ideas. There is no stopping an idea whose time has come; history has informing examples with huge, world-changing ideas being independently developed (see Newton vs. Leibniz for Calculus, or Bose vs. Marconi for radio). So, if it seems like a good idea, then you’re probably not the first person to have it. Unless you’re a one-in-14-million genius, but statistics suggests you (and I) are not – we can’t all be geniuses. Agree with you. Execution is what counts. Most of the ideas apply to business in general. They are not limited to start-ups. Most large companies have lost experienced staff, fallen behind in best practice, and are afflicted by most of the issues raided in the article and in your observation here. i think there some pretty good start up ideas out there but young ones should learn the art of wooing investors. Hoping that you know that getting investors isnt a measure of success, bottom-line. not sure what “original” means…. Good article boss just your definition, a start up is not necessarily a technology business.